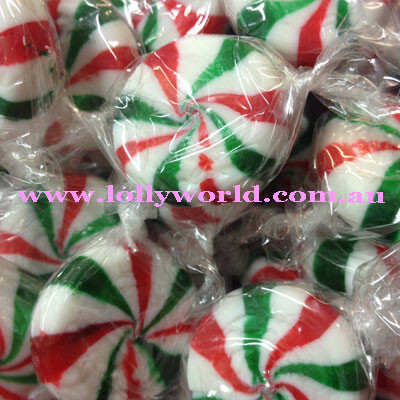 Starlight Mints Red White and Green are perfect for Christmas. With their red, white and green swirl and a refreshing peppermint taste. Great for after dinner mints and table decorations. Also promotional giveaways or to enjoy yourself. In each size you’ll find approx. 200g x 33, 500g x 83, 1kg x 166, 4kg x 664. Choosing ‘Cool Protection’ at the end of the checkout keeps your order in optimum condition. A foam box and also an ice brick for only $8 for you to keep. We recommend this for chocolate products during the warmer months. Australia wide delivery on time, in perfect condition and in your belly.